These poems may sometimes pretend they're joking but they never really are. And what is it they're not joking about? Death for one thing, and the fact that we don't actually know who we are, and the fact that we don't truly know who our loved ones are, or what art is, or anything else for that matter. Sometimes it feels as though someone has run off with meaning. It's no longer to be found where we could once expect to find it, perhaps in religion or in nature or in art, and these poems set off in search of it. Their aim is to see if there's a way of looking and a way of using language that can bring some meaning back to the world, because without it, we're lost. 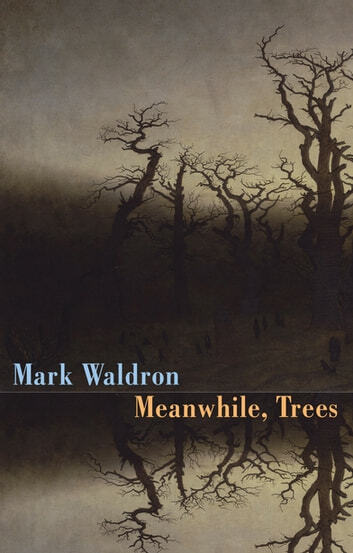 Meanwhile, Trees is Mark Waldron's third collection, following The Brand New Dark (2008) and The Itchy Sea (2011), both published by Salt. 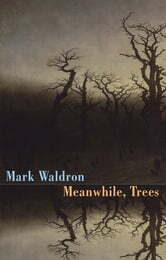 'One poet… who, above all others, cries out to reach an American audience… Waldron has been busy forging a new language of deadpan, twenty-first century surreal, as receptive to John Berryman's influence as anything written in the wake of The Dream Songs, as sceptical of the lyric self as anything in John Ashbery, and usually a lot funnier.' – Dai George, The Boston Review.